Brooklyn Bedding is a family owned U.S. manufacturer who builds their mattresses within their own factory walls. Master craftsmen create each bed on demand. Being one of the few online companies to own their own factory is a distinct competitive advantage. Taking out the middleman streamlines operations and cuts cost. This allows for a sizable savings to be passed on to consumers. What continues to make Brooklyn Bedding successful, is their willingness to adapt and change for the better. The transition to TitanFlex foam no doubt involved some risk. However, the bigger risk in the bedding industry is to standing still while competitors move forward. 2017 also brought forth the development of the Brooklyn Aurora, an affordably priced luxury mattress. Now, 2018 brings even more change. The Brooklyn Signature has been rebuilt with a pocketed coil system. It was designed to offer even more support, comfort and durability than the highly sucsessful original. Also new for 2018 is the introduction of the "Bowery" Brooklyn Bedding's priced right Memory Foam mattress. Keeping with the company philosophy, this bed packs as much quality as possible for the least amount of money. Read our complete Brooklyn Bowery review. 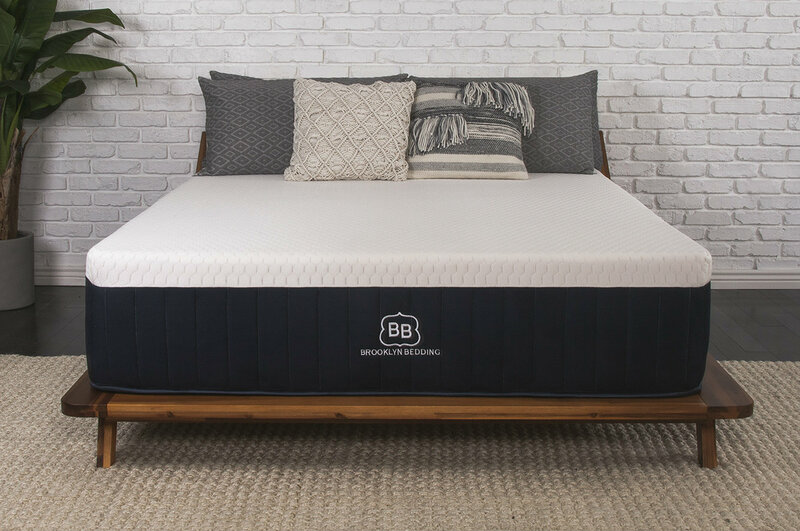 BestSlumber was recently offered the opportunity to review Brooklyn Bedding's Signature "#Best Bed Ever" and the "Brooklyn Aurora" mattress. The beds were provided at no charge. The only thing Brooklyn Bedding asked for was an honest objective review. We'll take you through every step of our experience; discussing all the pros and cons of each. Our evaluations are based on 20 years of bedding industry experience, product research and of course personal evaluations. No one mattress is right for everyone. We'll do our best to help you determine if Brooklyn Bedding is right for you! New for 2018, the Brooklyn Signature is a hybrid that features TitanFlex hyper-elastic foam and a pocketed coil support system. Available in 3 distinct comfort options, the Signature is value priced when consider quality vs cost. As of 1/24/18, the Brooklyn Signature has been upgraded to include 6" Caliber Edge Coil. This is a game changer for what was already Brooklyn Bedding's best selling mattress. 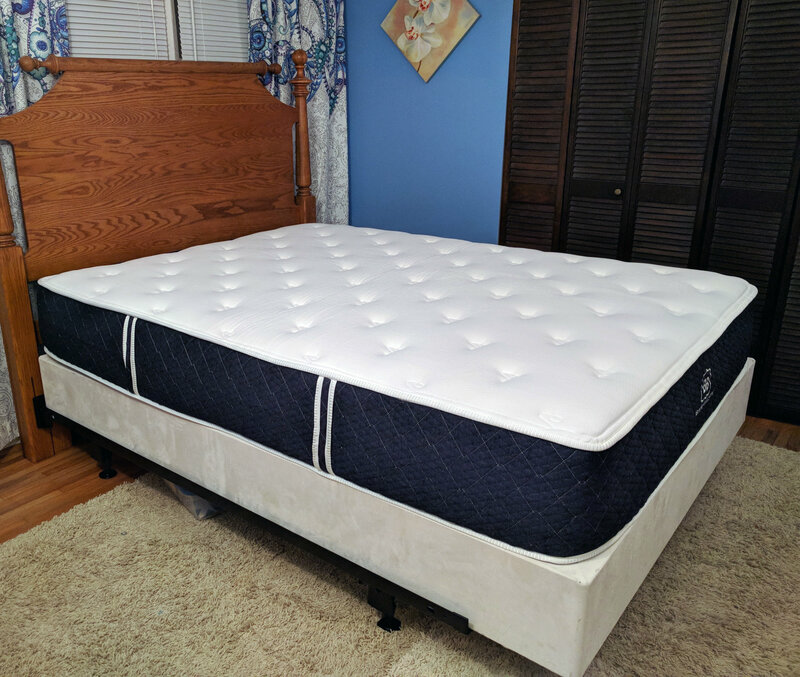 The Signature still uses the same proprietary TitanFlex foam that made this bed so successful. By adding a superior support coil, the Signature has elevated it's game to a whole new level. We'll discuss what you can expect in terms of comfort, support and durability. Breathable and quilted, the cover sleeps cool and comfortable. All quilting is done in house. Again, another advantage of owning your own factory. Consistency of the product remains under tight control. This cover is made from Cotton with polyurethane foam underneath added for comfort. A layer of Silica Rayon fiber is used as a fire retardant. No Chemical sprays are used. Brooklyn Bedding's patented hyper-elastic foam offers the pressure relief of traditional Memory Foam but with more resiliency and bounce back. The addition of TitanGel foam adds cooling and anti-bacterial properties. The Signature's individually pocketed coil system provides additional support, comfort and durability. It does so while limiting motion transference and increasing airflow. Combined with the cool sleeping TitanFlex Foam, the signature is ideal for those who "sleep hot". 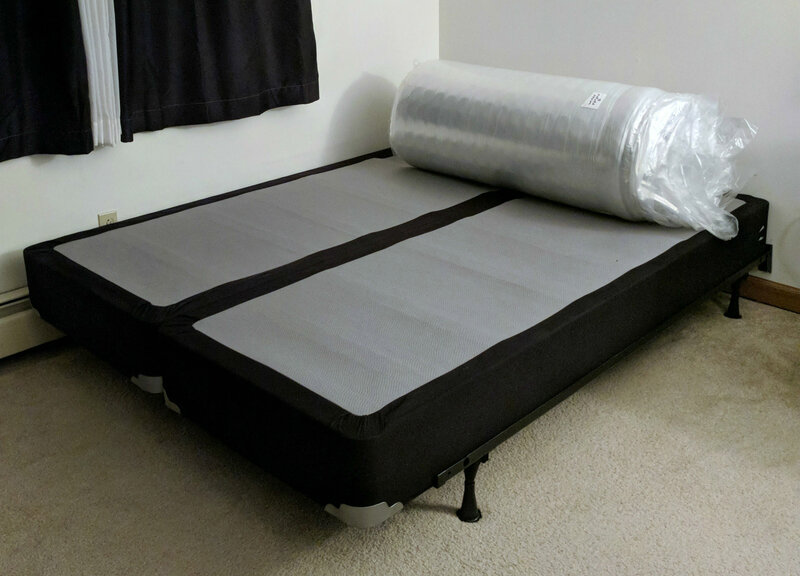 The system is designed to alleviate body heat before it becomes trapped in the mattress. Ascension Coils also create greater distinction between the Brooklyn Signatures firmness level. In particular, the Medium is now a noticeably softer mattress than the original. It's a great combination of pressure relief and support. 1" 1.8 lb. support foam adds stability to the mattress and prolongs your beds life. The density of this core helps prevent the mattress from bottoming out. Brooklyn Bedding has made the claim that regardless of the weight range, the core will last 20 years. That's a pretty lofty expectation. At the price point, half that time would be a win! 2" 3.5LB 18ILD TitanFlex foam transitions into a firmer 2" 3.5LB 13ILD layer that provides stability and support. This mattress will appeal more to back and stomach sleepers. The right reason to buy a firm is because you genuinely feel more comfortable. Keep in mind softer does not mean less support. A firm mattress may create too much pressure for a side sleeper. While on your back, the body's weight is dispersed more evenly. Side sleepers bare the brunt of their weight on their shoulders and hips. This can create a bit too much pressure for many people. Our recommendation for side sleepers would be to choose either the medium or the soft. 2" 3.5LB 18ILD TitanFlex transitions to 2" 3.5LB 28ILD TitanFlex. This provides a more forgiving feel with more body hug and pressure relief. We found the medium struck a nice balance of support and comfort. The new Brooklyn Signature has a noticeably softer feel than than the original model. The Medium will accommodate the widest variety of sleep preferences. It's firm enough for most back and stomach sleepers and soft enough for the majority of side sleepers. 3" of 3.5LB 28ILD TitanFlex rests on top of 1" of transition foam. This allows for maximum body hug and pressure relief. The Brooklyn Signature Soft option should be just right for side or back sleepers seeking that ultra plush feel. Our choice for stomach sleepers would be to opt for one of the two firmer beds offered. If you are a side sleeper who desires more pressure relief for the shoulders and hips, the soft is the mattress for you. Back sleepers who enjoy a softer feel will also appreciate this bed. However, stomach sleepers would be better served with one of the two firmer models. Free shipping is provided to the 48 continental United States via FedEx Ground. All orders are processed within 2 - 3 days. Orders will then be shipped to your home within 3 - 5 days via FedEX Ground. 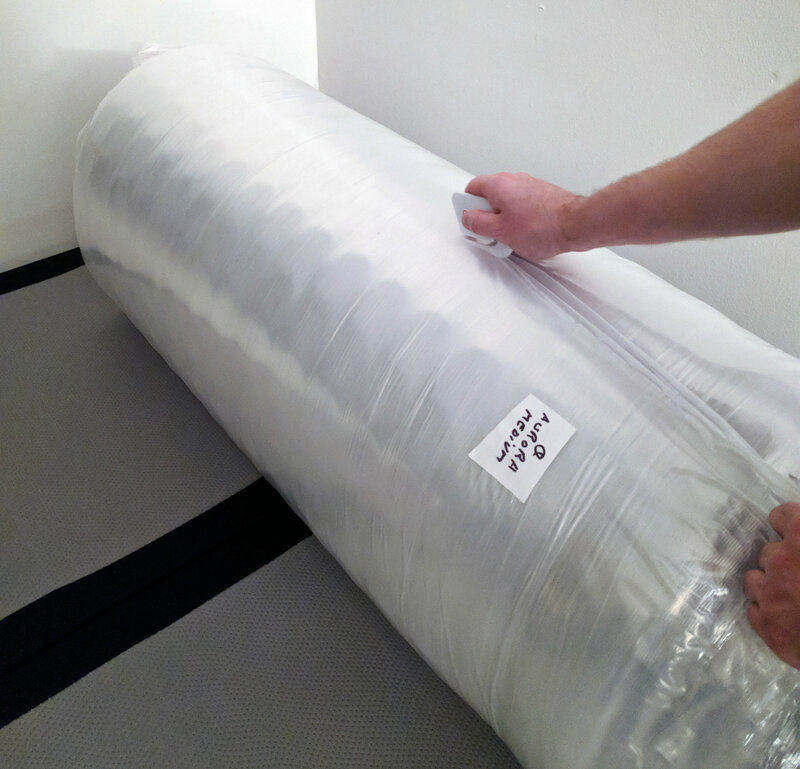 Your mattress will come tightly wrapped and vacuum sealed. We recommend placing your mattress on your foundation prior to unwrapping. Layer by layer, cut through wrapping. Take care not to rip the fabric. Once through the first few layers, you'll hear the sound of air rushing into your bed. 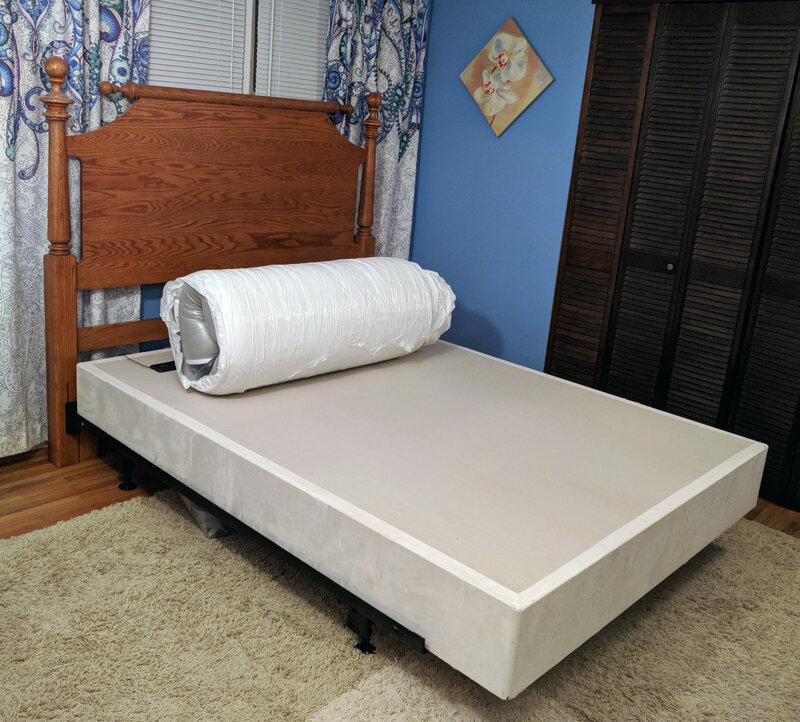 Within minutes, The mattress will take full form. At first glance, you'll notice is the Brooklyn Signature's distinctive good looks. From the clean well tailored lines to and soft velvety fabric, the quality craftsmanship is apparent. We were impressed with how quickly the mattress took shape. 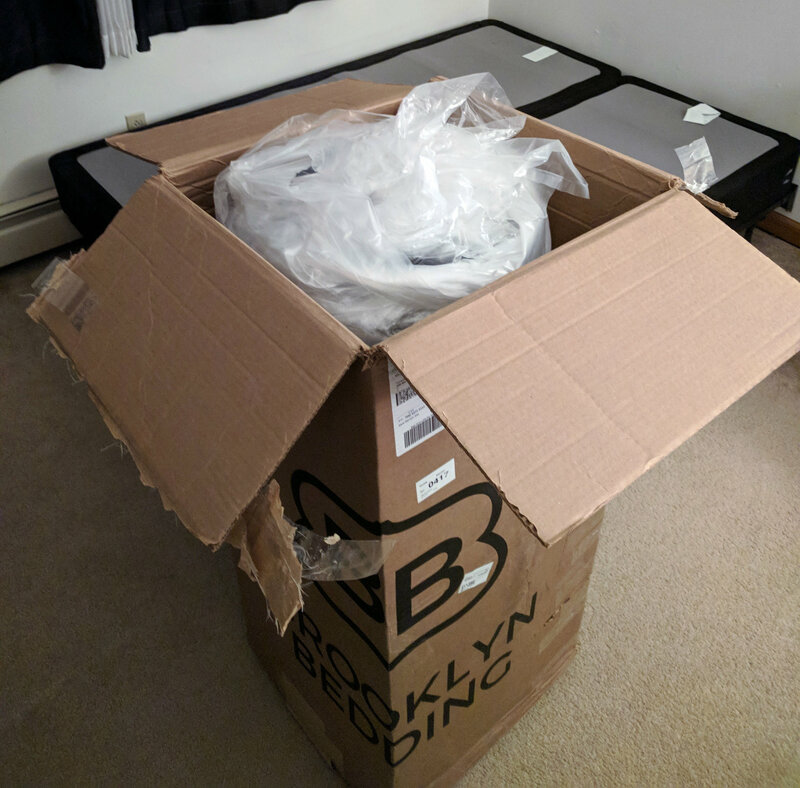 It was really hard to tell this bed had ever been rolled in a box. The edges were smooth and defined. The overall feel of the Brooklyn Signature was impressive, especially for a mattress priced under $1,000. 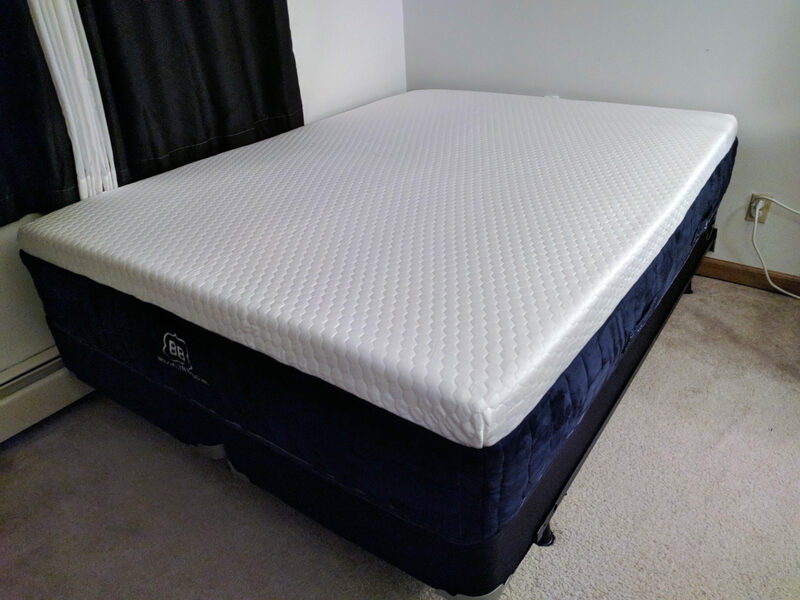 The addition of the Ascension coil system has elevated the overall feel of this mattress. Expect solid support with just the right amount of pressure relief. Available in three distinctively different firmness levels, the Signature has something for everyone. TitanFlex technology has been merged with an outstanding individually pocketed coil unit. The combination offers tremendous support and structure. Keep in mind, the original version was quite substantial even without an innerspring. We were quite impressed with how the Signature performed. A very good mattress has just got even better. A considerable improvement in motion detection should be noticed with this new upgrade. The combination of TitanFlex with the Ascension coil, the Signature has a bit more body hug is less motion disturbance. Upon opening, there were no unpleasant odors. Brooklyn Signatures foams are all CertiPur Certified. The Brooklyn Bedding Signature #Best Bed Ever mattress is priced significantly lower than comparable retail offerings. Use promo code Signature150 and Save $150 off your mattress! Full 10 Year Warranty. 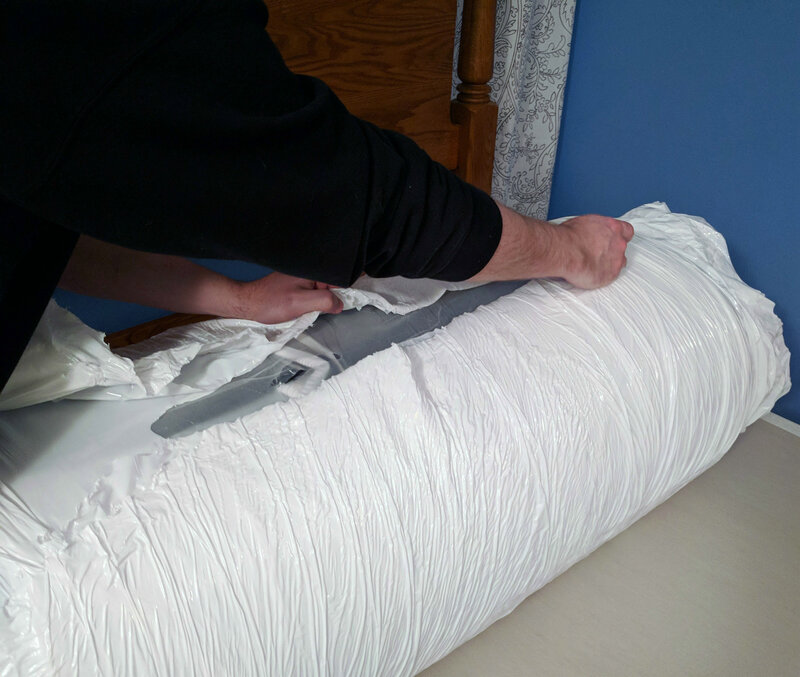 If a defect occurs during the warranty period, Brooklyn Bedding will repair or replace the defective product and in a reasonable amount of time. An industry standard for what is considered a defect is a 1.5" indentation. Brooklyn Bedding's standard is only 1". Another way this company raises the bar. Of course, it's easier to stand behind a product that is this well built. Brooklyn Bedding offers a full 120 day Comfort Guarantee. If you do not love your mattress, return it free of charge for full refund! 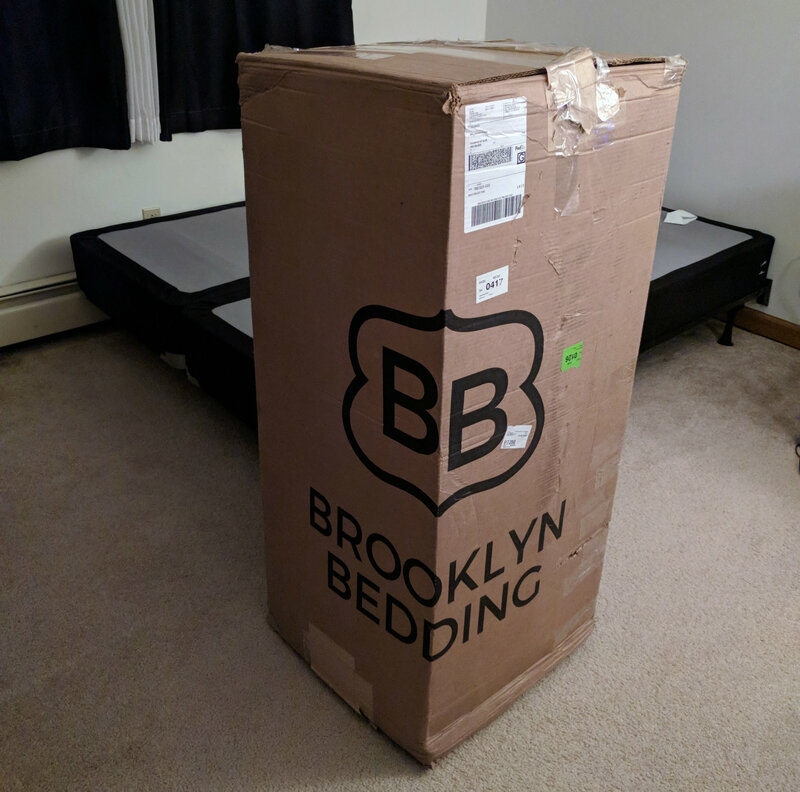 Brooklyn Bedding offers free deliveries and free pick up if you are not fully satisfied! The Brooklyn Signature's quality has been significantly upgraded from what was already a great value. They've done so with only a modest increase in price. Brooklyn Bedding is one of the most established and respected US mattress companies. They continue to receive high marks from satisfied customers. 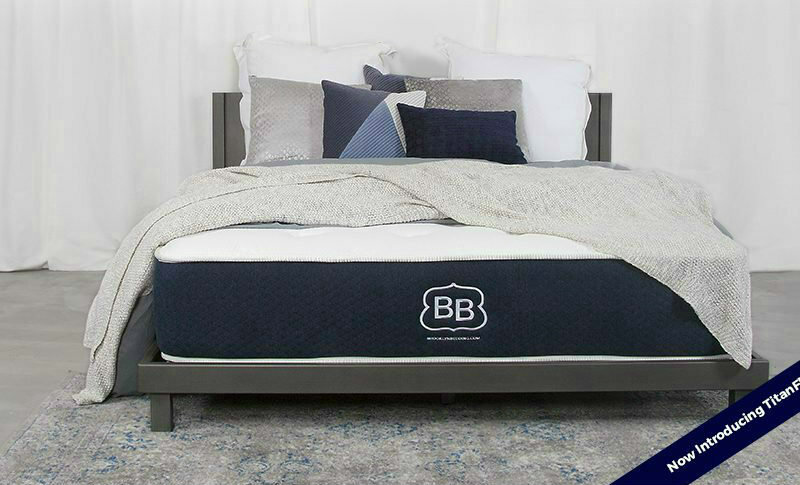 The Brooklyn Signature Mattress exceeds expectations. This mattress is truly one of today's best values in the under $1,000 category! Great value for the dollar! 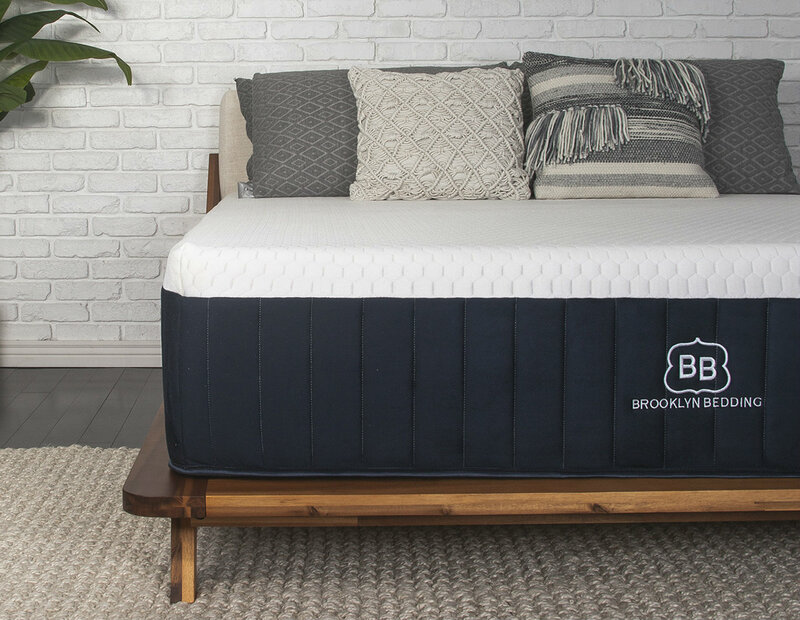 Brooklyn Bedding is one of the few online mattress companies to own their own factory. This substantially reduces their cost by eliminating the middleman. 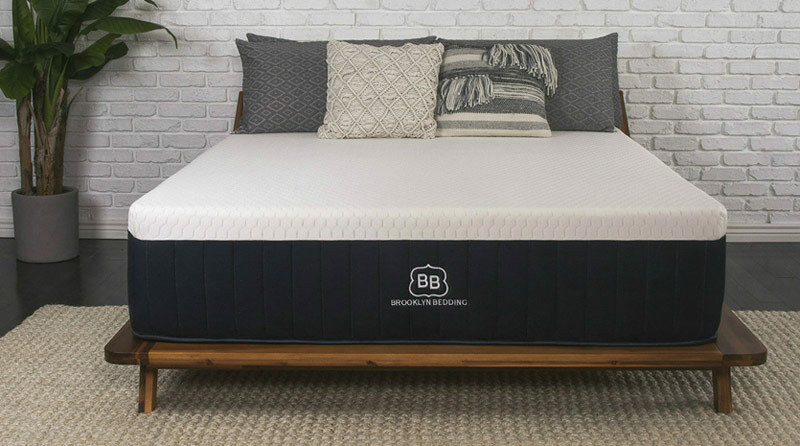 At $949 for a standard Queen, The Brooklyn Signature is an outstanding mattress. 3 comfort feels to choose from. Whether you are a back or stomach sleeper seeking a firmer option or a side sleeper who wants more pressure relief. The Signature has you covered. Sleeps cool and comfortable. Unlike some memory foams that retain heat, TitanFlex foam is breathable and cool. Low motion transference: This is great for couples who wish not to disturb each other's sleep. Built to last. The Signature utilizes durable, high density foams and a substantial coil system. This mattress will give you years of comfort and support. No in home setup is available. The Signature is delivered free of charge but no white glove delivery is available. The mattress comes in a relatively small box but usually requires some assistance to bring in. Once in the home, setup is actually quite easy. Is Brooklyn Signature right for you? Based on product specification and our in house evaluation, the Brooklyn Signature is the real deal! Like the Brooklyn Aurora, the Signature exceeded our expectations for comfort and support. Try it risk free today! 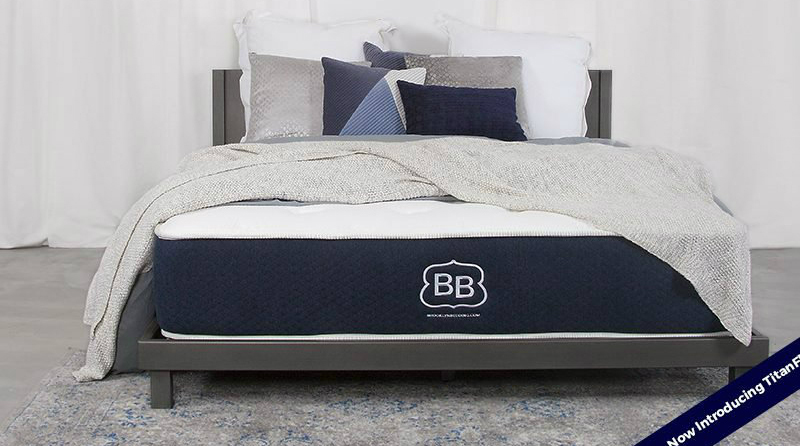 Brooklyn Bedding's exciting new luxury hybrid is raising the bar for quality and performance. The Aurora combines the same great support of their signature BBE mattress with a superior quality coil system. TitanFlex and TitanCool technology, promise to take your sleep experience to a whole new level! TitanCool consists of a water based surface that draws away heat from your bed. Combined with TitanFlex (another recent advancement), it creates an even cooler, more comfortable sleep than standard foams. TitanFlex, Brooklyn Bedding's proprietary, hyper-elastic foam, offers cool, responsive comfort. This open celled material uses thermal titanium beads to regulate heat and keep you sleeping cooler. This foam is designed to provide the pressure relief of memory foam and the buoyancy of latex. Gel beads are actually infused into the foam. This creates a more breathable environment while adding extra cooling and support. As an extra bonus, copper embeds have been added. Copper is highly regarded for it's anti-bacterial benefits. Two-Way Circular Knit (Stretch) Cover w/ 50% PCM Cooling Component: This smooth, silky soft fabric is blended with a high tech fiberglass knit. It's specially designed to keep you cool and comfortable all night long. Up to 1,283 8-Inch Quantum Edge Pocketed Coils offer superior alignment while limiting motion transference. Great for couples seeking less sleep disturbance from their partner's movements. The outside perimeter edge is reinforced with Infinity coils. This additional structure provides more stability and greater edge to edge comfort. The Brooklyn Aurora's robust support system rivals premium retail mattresses costing twice as much. Comfort Options - which is better for you? This mattress will appeal more to back and stomach sleepers. The right reason to buy a firm is because you genuinely feel more comfortable. Keep in mind softer does not mean less support. A firm mattress may create too much pressure for a side sleeper. While on your back, the body's weight is dispersed more evenly. Side sleepers bare the brunt of their weight on their shoulders and hips. This can create a bit too much pressure many people. Our recommendation for side sleepers would be to choose either the medium or the soft. 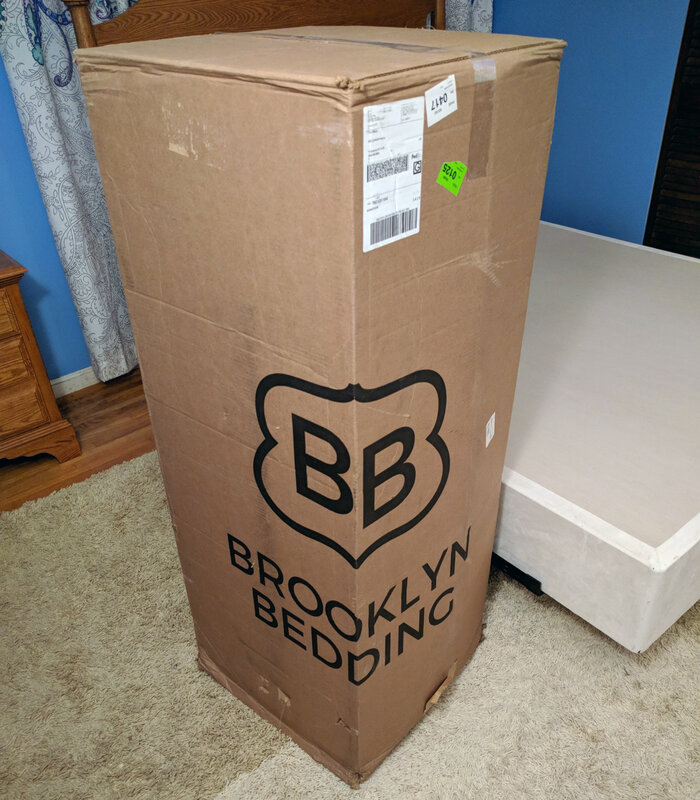 Brooklyn Bedding provided BestSlumber with their medium Brooklyn Aurora mattress to review. The addition of a substantial coil system dramatically increased support. However, the overall feel is considerably softer than the medium base model feel. This mattress strikes the perfect balance between comfort and support. Soft enough for most side sleepers, while still offering enough resistance for back and stomach sleepers. Out of the three options, this mattress will surely accommodate the wide spectrum of sleep positions. The soft is a great option for side or back sleepers seeking that ultra plush feel. Our choice for stomach sleepers would be to opt for one of the two firmer beds offered. To be clear, we did not personally test the comfort feel of the soft. The medium, reached about the maximum level of plushness we would recommend for stomach sleeper. Our concern here is that more sinkage could cause lower lumbar pain while sleeping in this position. The great advantage Brooklyn Bedding has is the ability to offer three distinct comfort options. Two-Way Circular Knit (Stretch) Cover w/ 50% PCM Cooling Component. Layer by layer, cut through wrapping. Take care not to rip the fabric. Once through the first few layers, you'll hear the sound of air rushing int your bed. Within minutes, The Aurora will take full form. At first glance, you'll notice is the Brooklyn Aurora's elegant good looks. From the clean well tailored lines to and soft velvety fabric, the craftsmanship is obvious. The Aurora would not look out of place alongside premium bedding in an upscale mattress store. Brooklyn Bedding even added side panel handles for ease of movement; another feature typically no longer done. We were quite impressed with the overall feel of the Brooklyn Aurora. It possesses the pressure relief of memory foam and the buoyancy of latex. While combining the qualities of both, the Aurora has a feel that is truly unique. This cool sleeping mattress also limits motion transfer. High density foam and a better than average coil system keep your body in proper alignment. Edge support is also substantially better than a typical bed in the box offering. The combination of an individually pocketed coils and quality foams reduce motion detection. No sleep partner disturbance is an added benefit. Upon opening, there were no unpleasant odors. 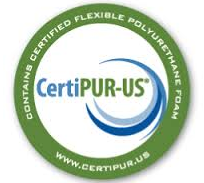 Brooklyn Aurora's foams are all CertiPur certified. Use promo code Aurora300 and Save $300 on your mattress! Full 10 Year Warranty. If a defect occurs during the warranty period, Brooklyn Bedding will repair or replace the defective product and in a reasonable amount of time. An industry standard for what is considered a defect is a 1.5" indentation. Brooklyn Bedding's standard is only 1". Another way this company raises the bar. Of course, it's easier to stand behind a product that is this well built! Here is proof that luxury can in fact be delivered in a box to your door! The Brooklyn Aurora excells in all categories of support and comfort. With three comfort feels to choose from, there's a mattress that's just right for you! 3 comfort feels to choose from. Whether you are a back or stomach sleeper seeking a firmer option or a side sleeper who wants more pressure relief. The Aurora has you covered. Limited motion transference: Little to no sleep partner disturbance. No in home setup is available. The Aurora is delivered free of charge but no white glove delivery is available. 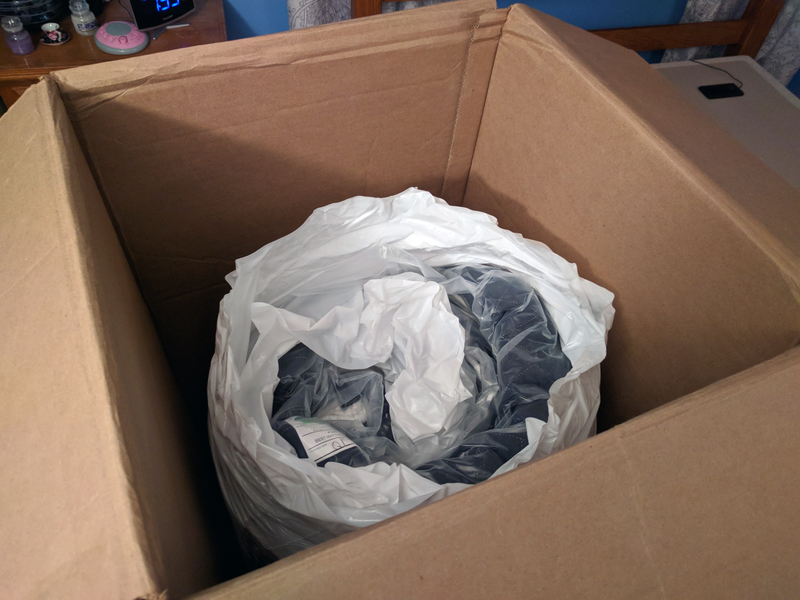 The mattress comes in a relatively small box but usually requires some assistance to bring in. Once in the home, setup is actually quite easy. Is the Brooklyn Aurora right for you? Based on product specification and our in house evaluation, the Brooklyn Aurora looks like a real winner! Like the Brooklyn Signature, the Aurora exceeded our expectations for comfort and support. Try it risk free today!